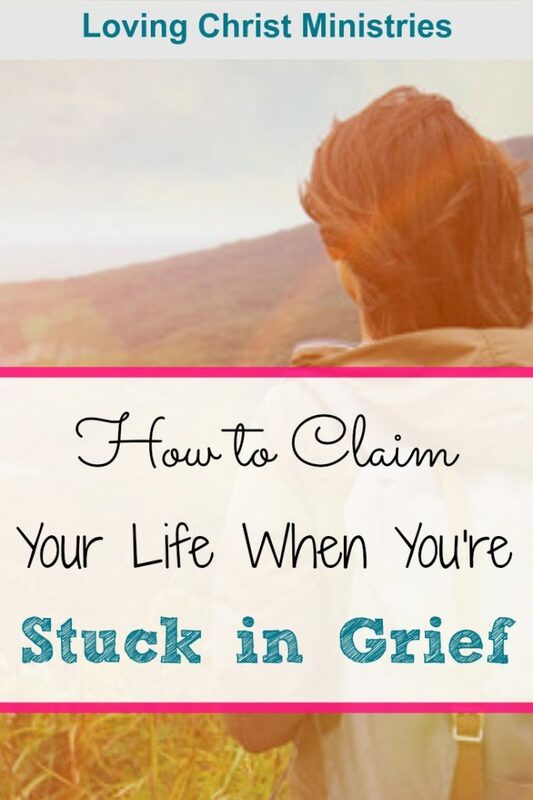 In the depths of despair, you may have to claim your life so that don’t stay stuck in grief. Growing through my grief has been the very thing I’ve latched onto to find purpose and passion in my life again after the death of my best friend, David. David died many years ago now. Those first few years I struggled big time trying to understand death and figure out the purpose for my life. For any life. If I couldn’t grow and become a better me, a more spiritual, purposeful, passionate, me, then I couldn’t see any purpose in living it all. Oh, I wasn’t suicidal. I would never physically harm myself. But … you don’t have to be physically dead to fail to live. I thought I’d had faith before, but after David died, questions about God and life and death and purpose overwhelmed me. My faith left me. And so…through days, weeks, months, years, I carried my bible and clung to the Lord. He pulled me through bits at a time. He stood steady and waited for me when I needed more time…and when I fell back into despair. In early days when I took backwards steps into my grief, I felt guilty. I thought I wasn’t trying hard enough, that my faith wasn’t strong enough. I’d curl up in the fetal position at home and go through all the motions of life at work and even with my family. Anger overwhelmed me at times. I wouldn’t say I was mad at God necessarily; I was just mad in general. At everything. And then I’d be angry with myself for not being over (or through) my grief. Eventually, I understood I could let that anger go. And that guilt. That falling back into those days of despair simply became part of the process. When you truly understand the journey of grief and that it’s not a get through and get over it trip, then you can realize that those days you spend back in the pit of despair simply exist as different days in the journey. Recently, I read an article that really stood out to me. It asked an important question, “What if I don’t want to grow through my grief?” I can certainly understand that thought. 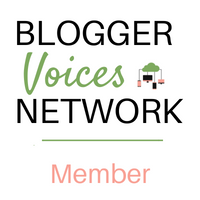 Many times I felt the very same way, and even though I write frequently about growing through my grief, and I try to encourage others to do the same, it would be dishonest to say that you won’t ever feel like you simply don’t care if you grow or not. You’ll feel bitter and angry, and if you’re like me, you’ll think there’s something wrong with feeling that way. Some days, you won’t want to go on. There will be times when you feel there’s no reason or purpose for anything. Moments when bitterness takes over. I get that. So many times I’ve stamped my foot (literally and figuratively) and cried out, “But I don’t want to! !” regarding growth, purpose, action, passion. Let go of feeling bad for all that. It’s all part of your journey, and it’s PERFECTLY OKAY to feel exactly as you feel at every moment for as long as you need. Thing is, you can’t STAY there in that spot and ever expect to truly be happy again. So, when you’re ready to start searching for your joy again (within you), be prepared. You won’t just instantly feel better. That desire to shed bitterness and anger doesn’t automatically make everything perfect. Nope. Instead, you have to stand up and claim your life. How can you claim your life? It’s all mine and this is my life to live. I hurt often in my grief and in how I miss my loved one. But that hurt is part of me and everything about me is exactly as it should be at this particular moment. I choose to live in my light. In Christ’s light. And I know that within the light…that’s where I will know peace. Hope. Love. Purpose. Here, I can understand life and death. Eternity. I know that the physical loss of who I love doesn’t mean that love has ended. Within that love that still exists, I claim ‘better’ for the rest of my physical days. It may sound silly, but I promise it works. You may have to say it more than once. You may have to claim it many days in a row. After months of being okay, you may fall back a bit and need to come back and say it again. Do what you need to do. It all ends up coming down to making a choice. While you’ll naturally have days when you don’t want to grow, you’ll also begin to have glimmers of hope touch your life. You can choose to ignore those glimmers and stay down in the pit. Or you can at least try to get back to joy and purpose. It’s difficult. Know that for sure. And there’s a fine line between being okay with every emotion but also knowing you have to reach for more, you have to grow – in faith, hope, peace, love – in order to find meaning again. But it can be done. I promise you, and I pray for you, that you claim your best life. NOTE: I am sharing from my own personal experiences and am not a professional counselor. If you are deeply struggling with grief, please seek the advice of a professional. Want to remember this? 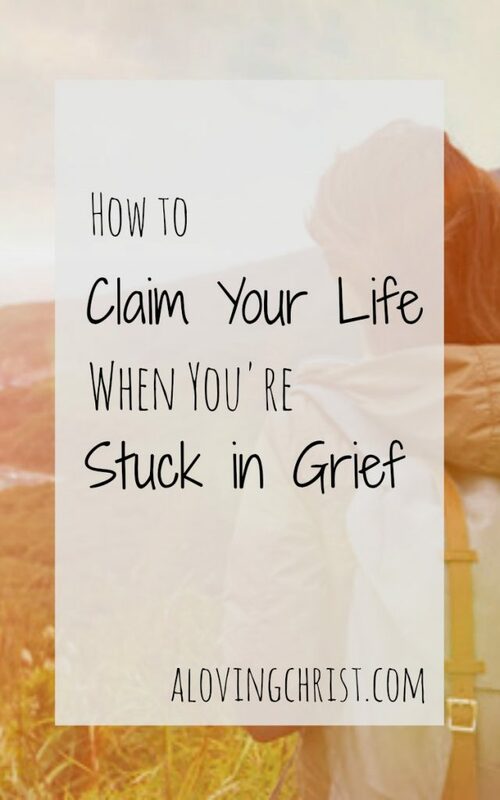 Post How to Claim Your Life When You’re Stuck in Grief to your favorite Pinterest board! Download your free copy and have something tangible to carry as a reminder of God's promises to us in grief. 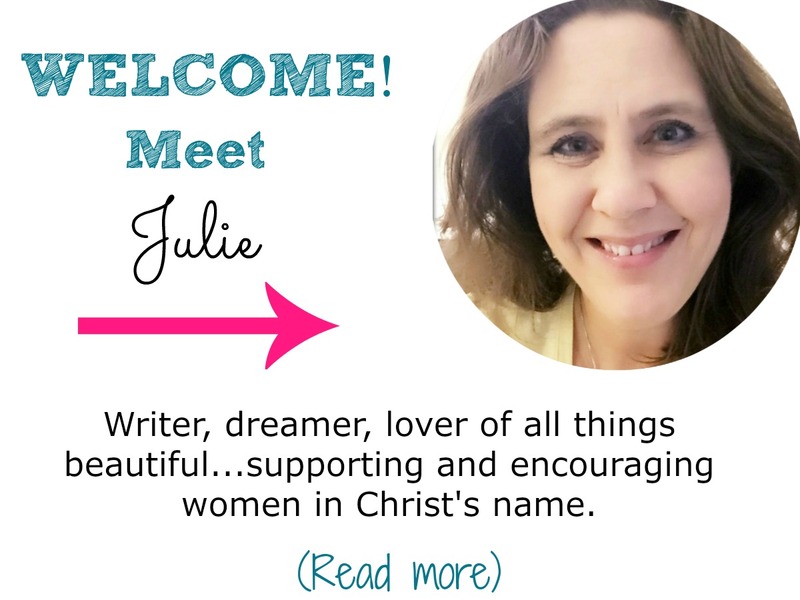 You'll also be signed up for the Loving Christ newsletter. You can unsubscribe at any time. Really beautiful! Thanks for sharing. I have totally been there. I’m sorry that you have! Bless you! We will all hit those times in our life when we are overcoem with grief and your suggestions for working through that grief are so very helpful.